We love making our own Christmas ornaments as a family. 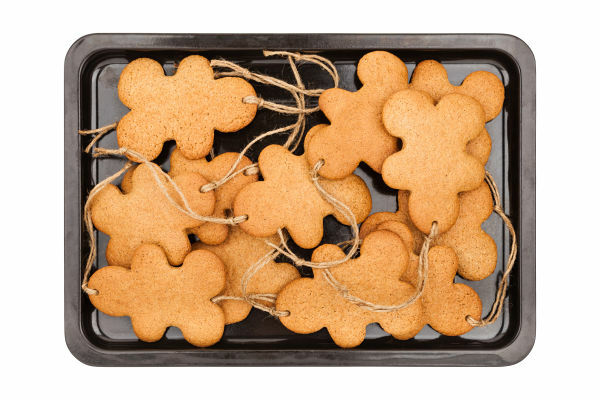 Cinnamon ornaments are our favorites, in large part because they make the entire home smell amazing! 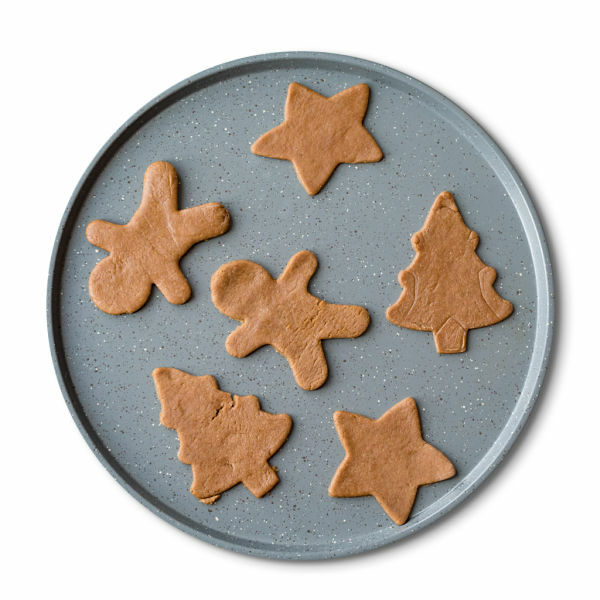 Today, we tried a new ornament clay recipe perfect for the season. My girls had a lot of fun playing with their homemade clay and couldn't wait to hang their gingerbread creations from the tree. Are you ready for the recipe? Optional: brown food coloring for richer coloring. 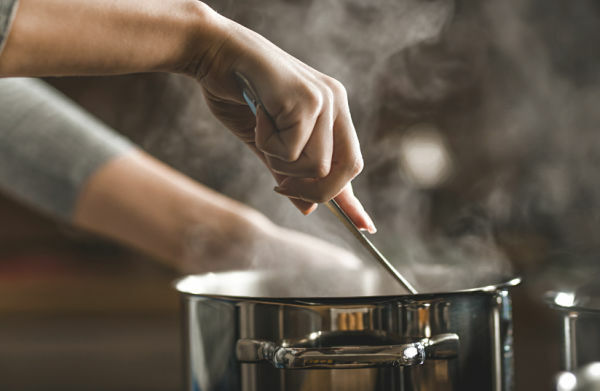 Combine all ingredients in a large pot and stir continuously over medium-high heat. 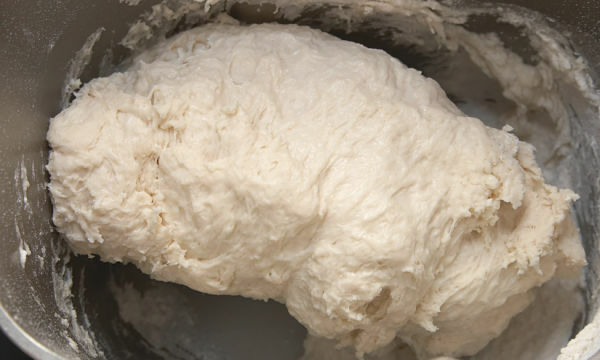 Continue to stir the ingredients until they reach a clay-like consistency. It does not take long. 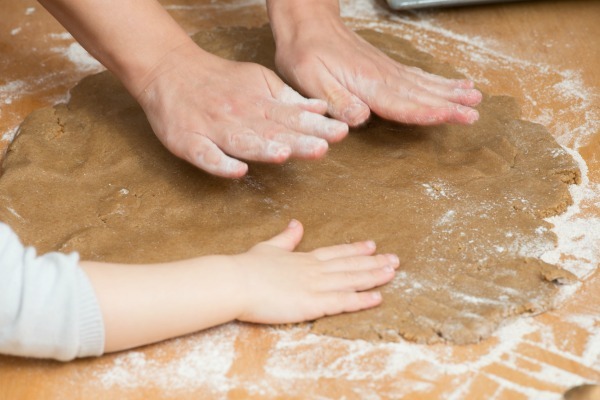 You will know the clay is done when it has reached a consistency similar to mashed potatoes. At this time transfer the clay to a heat-safe bowl and cover it with a moist towel until cool enough to knead. 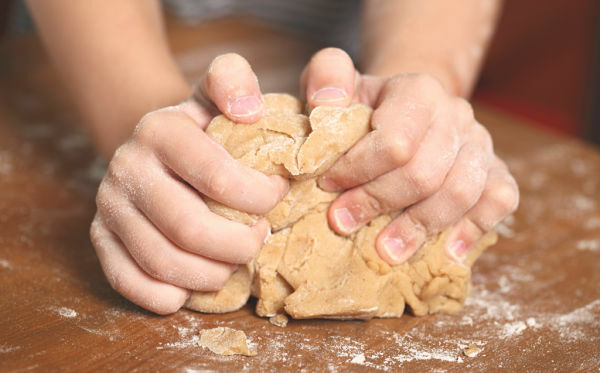 Once cool knead the clay with clean-dry hands, adding more food coloring & spices as desired. Note: For ornaments that are rich in color be sure to add brown food coloring. 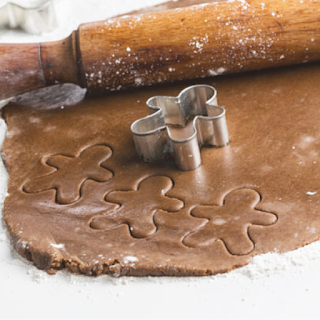 After a bit of kneading you will have delightfully scented gingerbread clay! 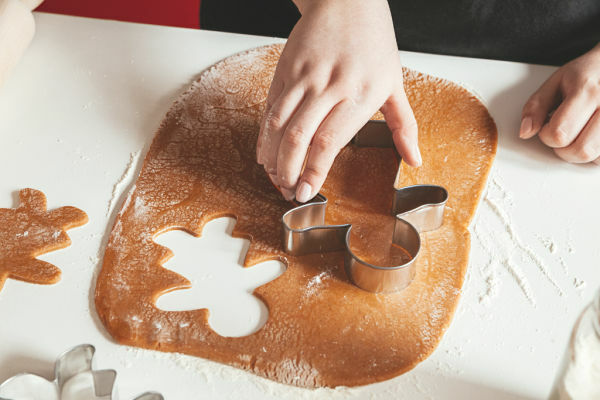 Give kids rolling pins and cookie cutters, and they will have a blast making scented gingerbread ornaments. 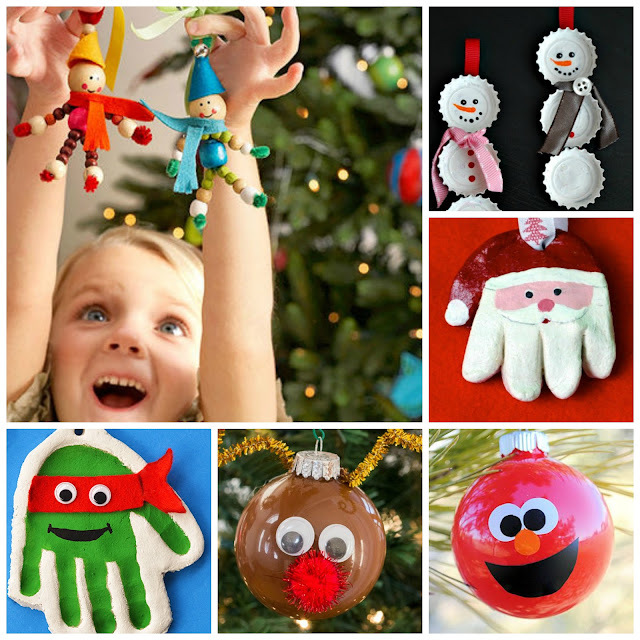 It will take roughly 24 hours for your ornaments to dry. 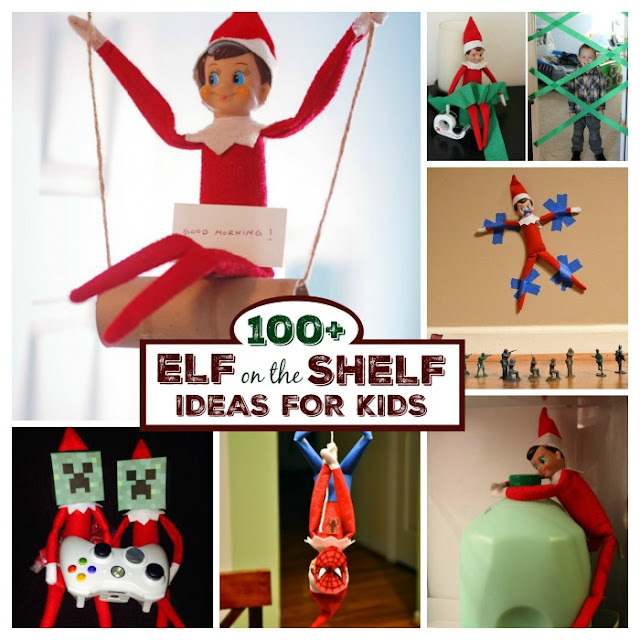 Don't forget to make holes in them so that you can easily hang them from the tree. To do this we used a drinking straw. 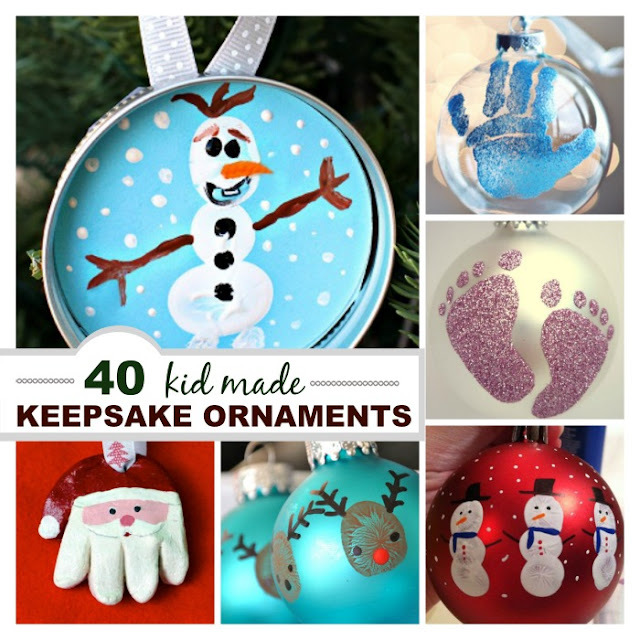 Once the ornaments are dry kids can decorate them. We used paint, buttons, and other creative odds & ends. We found that puffy paint in tubes worked best for decorating, and we used hot glue to secure beads and other embellishments. 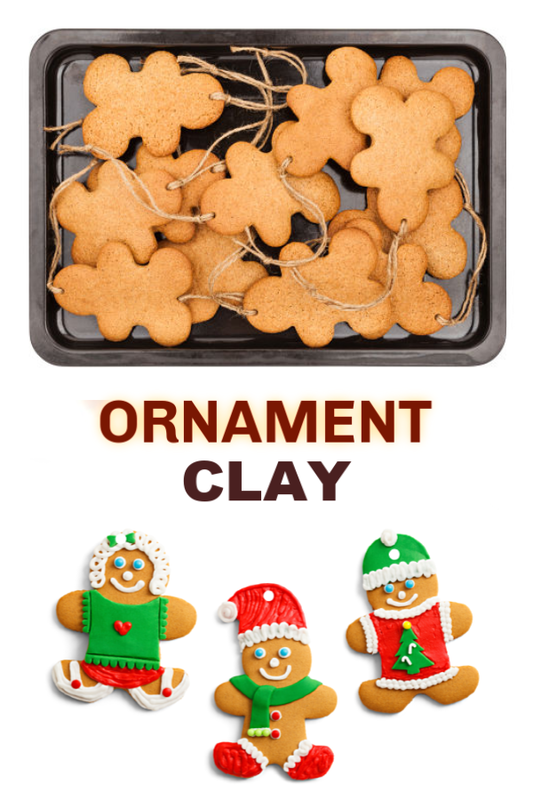 This gingerbread clay is great for play, too! 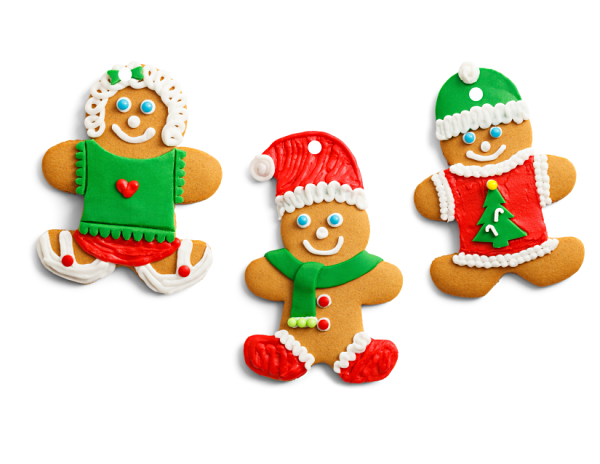 We stored the left overs in a zip-seal bag so that Rosie and Jewel could make gingerbread men over and over again.